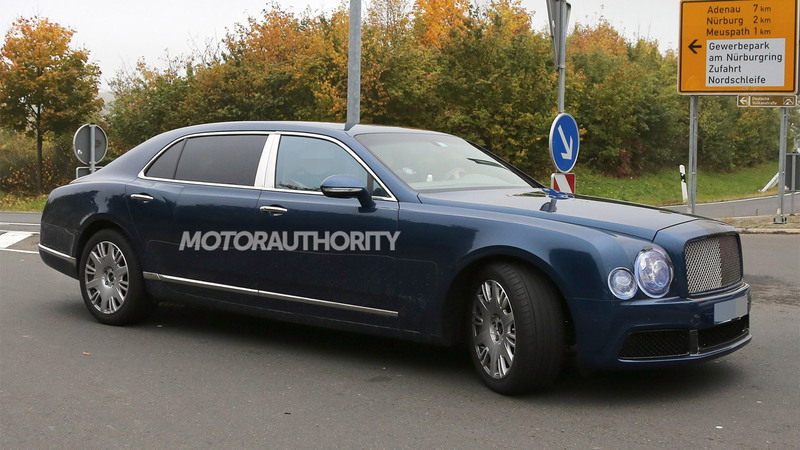 It was only a day ago that we saw a prototype for an updated version of the Bentley Mulsanne, and now we have a new prototype for a long-wheelbase Mulsanne. 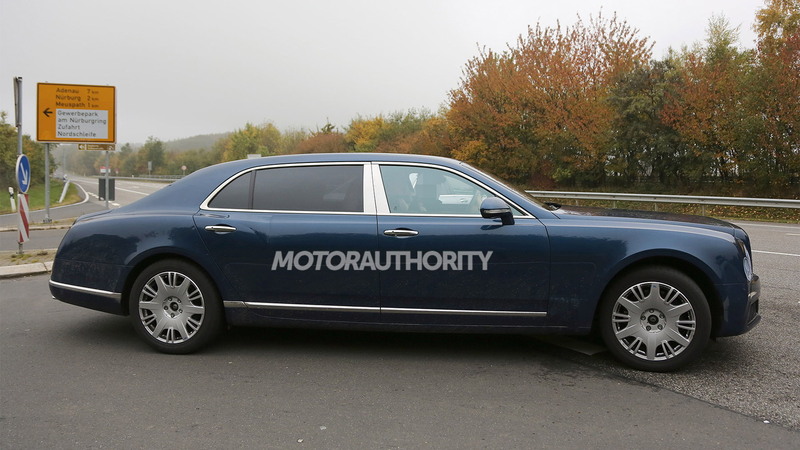 At 219.5 inches in length, and with a wheelbase of 128.5 in, few would consider the Mulsanne as lacking in size, but there’s been strong enough demand, it seems, to warrant the development of a stretched model. In the spy shots, we can clearly see an extended roof and longer rear doors, forming a larger cabin. All that extra space will benefit those in the rear seats, just like in the rival Mercedes-Maybach S-Class and Rolls-Royce Phantom Extended Wheelbase. The long-wheelbase Mulsanne’s arrival will coincide with the introduction of an updated Mulsanne range, which we’re expecting for the 2017 model. Visual changes will be minor, consisting only of new bumpers and tweaks to the lights. It’s possible the Mulsanne’s twin-turbocharged 6.75-liter V-8 will be tuned for improved power and efficiency, and it’s also possible that a diesel or plug-in hybrid setup is offered. Bentley has already confirmed diesel and plug-in hybrid options for its new Bentayga SUV, and it’s likely we see the same for some of the British automaker other models. A reveal should take place sometime next year.